Order the DVD from Amazon.com! Rare footage of Howlin' Wolf presented by the Rolling Stones on Shindig performing "How Many More Years?" In the kickoff volume of a promising Bluebird blues series titled "When the Sun Goes Down," director Don McGlynn gives us a winning portrait of Howlin' Wolf. If you care about the blues, you'll likely find this smart, evocative documentary of one of the field's most charismatic stars infinitely more valuable than all of Martin Scorsese's recent series of blues films on PBS. Why did Scorsese ever think that the best way to honor this invaluable musical art form was to ask some of his fellow directors to give us their personal take on the blues? What he came up with, episode after episode, felt either distressingly narrow or sterile. Here, director Don McGlynn does it right. In the kickoff volume of a promising Bluebird blues series titled "When the Sun Goes Down," he gives us a winning portrait of a singer so commanding that you can understand why the Rolling Stones sit at his feet in awe as they watch him perform on a TV show in the '60s (a segment in the DVD). Chester Arthur Burnett, one of six children born in 1910 to a Mississippi farmer and his wife, had such a raw, primal vocal style that it's no wonder he billed himself as Howlin' Wolf. Even though he never had enough hits to become as much of a household name as Muddy Waters and other contemporaries, he enjoys enough respect among rock tastemakers to have been voted into the Rock and Roll Hall of Fame. "When I heard him, I said, 'This is for me. This is where the soul of man never dies,' " Sam Phillips writes in the liner notes. He's the Memphis record producer whose list of discoveries stretches from the Wolf to Elvis Presley and Johnny Cash. 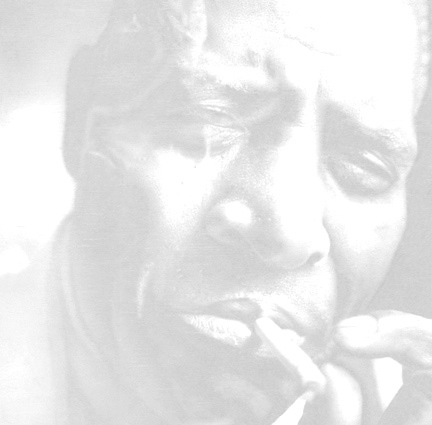 "The greatest sight you could see would be Howlin' Wolf doing one of those sessions in my studio …. His eyes would light up and you'd see the veins on his neck, and buddy there was nothing on his mind but that song." But it's not just the intensity of the Wolf's voice that makes him so thrilling. He was also blessed with a magnetism and humor that helped him stand out in any situation, whether he was on stage or simply sitting behind the microphone at a radio station. This is the first authorized film about Burnett, who died of a heart attack in 1976, and it is marvelous. In a time when we are bombarded with rapid-fire cutting and frustratingly brief snippets of footage it is refreshing to see a documentary that allows us to spend some time with it's subject matter— in this case Chester Burnett AKA Howlin'Wolf. I have never seen this much footage on this legendary performer in any one place. If you're a fan of Wolf or the blues, I cannot recommend this film more highly. This DVD is like a Howlin' Wolf performance- you get your money's worth! 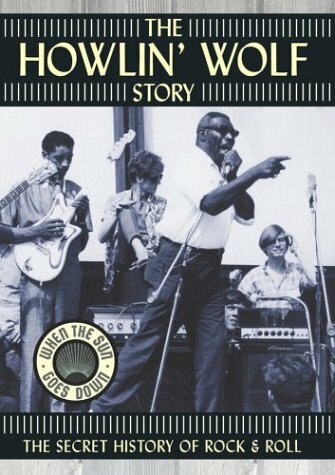 HOWLIN WOLF is no doubt one of the most awe-inspiring performers and he is shown in some really amazing and rare clips throughout his career...plus,( Where did director Don McGlynn and Producer Joe Lauro FIND this amazing footage??).. they somehow are able to also expose the sensitive HUMAN side of this blues god!....a REAL indepth look at one of the true all time legends of the Blues. What can a poor boy add to all those ravishing reviews? Nothing, just that i got my copy yesterday, and found that, contrary to what the product details say, the disc is not region-protected. So if you had cold feet because you might have to watch it in the computer or simply you could not watch it at all, forget it! Your dvd player will receive it with open arms (i take for granted your player understands NTSC). so you have no excuses now, go and spend whatever currency you have in your wallet, it's as good as the other guys say! Oh, and the same applies to 'The American Folk Blues Festival 1962-1966', all regions, baby! This is a concise, affectionate and well-researched documentary on one of the true giants of the blues. It includes contemporary interviews with Wolf's family and friends and bandmates (including the great Hubert Sumlin) and rare footage of Wolf in his element (including some great full color shots of south side Chicago night clubs, as well as the famous Shindig show, introduced by the Rolling Stones.) It's too bad Wolf didn't live long enough to reap the rewards his rival Muddy Waters did. Still this film goes a long ways to putting Wolf's career in perpective, i.e., among the greats. Copyright © 2004 Howlin' Wolf Productions. All rights reserved.